Some People Really Are Who They Say They Are! There was one occasion when I made a booking that took a little leap of faith on my part. When the inquiry came in via email, I almost discarded it as a scam: Missionaries contacting us from the Solomon Islands. (Yes, I know!) But I continued to communicate with them via email, we worked together to overcome the difficulties of time zones and the expense of international calls by having a conversation by using Skype. 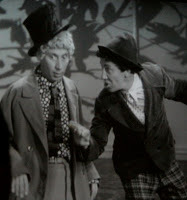 There were some technical difficulties, which resulted in my having to type while my potential guest spoke - we joked about how I felt a little like Harpo Marx. Anyway, the extra effort in working with these folks turned into a very good bit of business, plus the chance to make the acquaintance of a very nice - and very interesting - world-traveling couple.